The existing MFD boat ramp was originally built in the late 1970s with improvements made in the early 2000s. In 2012, MFD transitioned from a jet boat-based operation to a rescue watercraft (RWC) operation. The RWC can be utilized for emergency response during periods of lower streamflows than the jet boat. 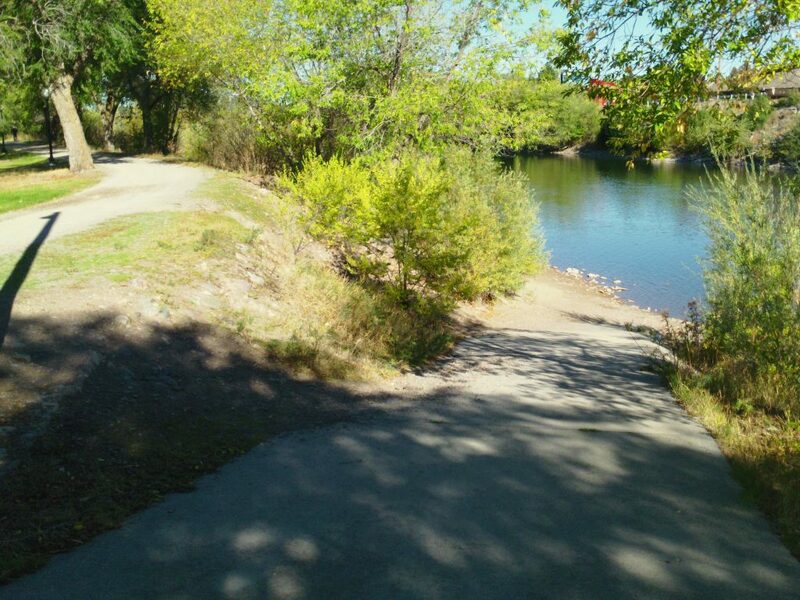 The lower end of the existing concrete ramp terminates at a point that makes the launch and retrieval process of RWC difficult during low flow conditions in the Clark Fork River. RWC operate until streamflows (measured at the USGS gage station 12340500 Clark Fork River above Missoula) decline below 2,500 cubic feet per second (cfs). 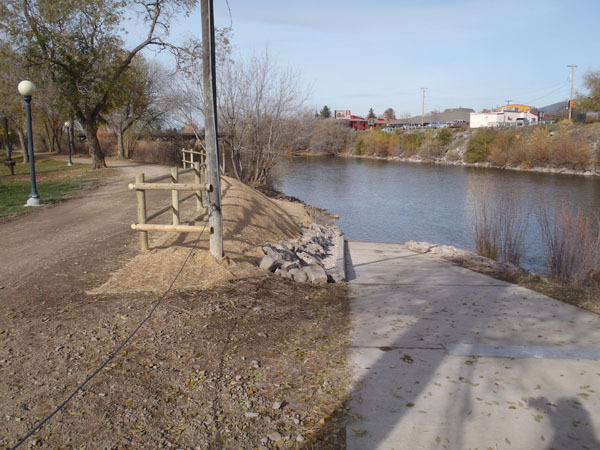 During low streamflow periods of operation, the existing ramp is in the dry and access to the river via the existing ramp is a safety concern for operators launching and retrieving the RWC onto the trailer. The proposed ramp extension will accommodate operational needs for emergency deployment of RWC and addressing safety concerns for operators deploying and loading the RWC. 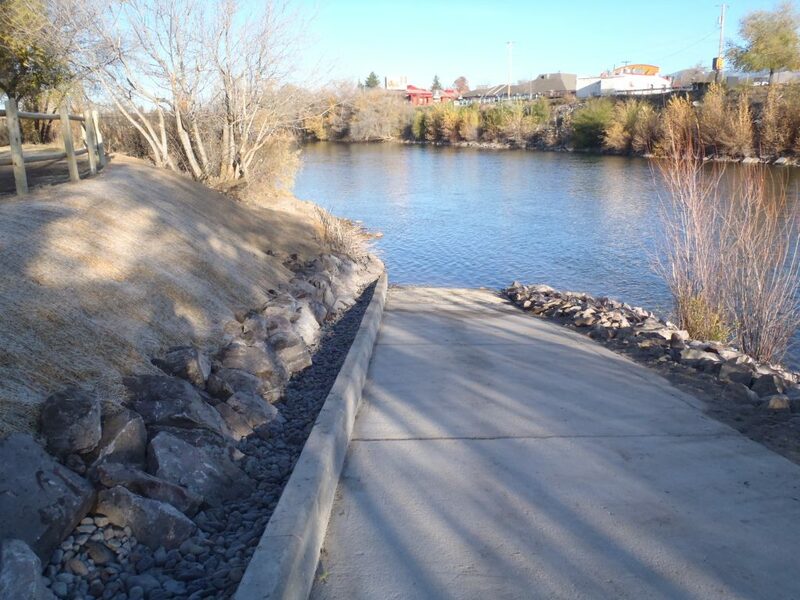 New Wave Environmental Consulting and Respec teamed on this project to provide environmental regulatory support and design engineering services necessary to address MFD’s goals to extend the existing emergency ramp and allow for RWC access to the river. 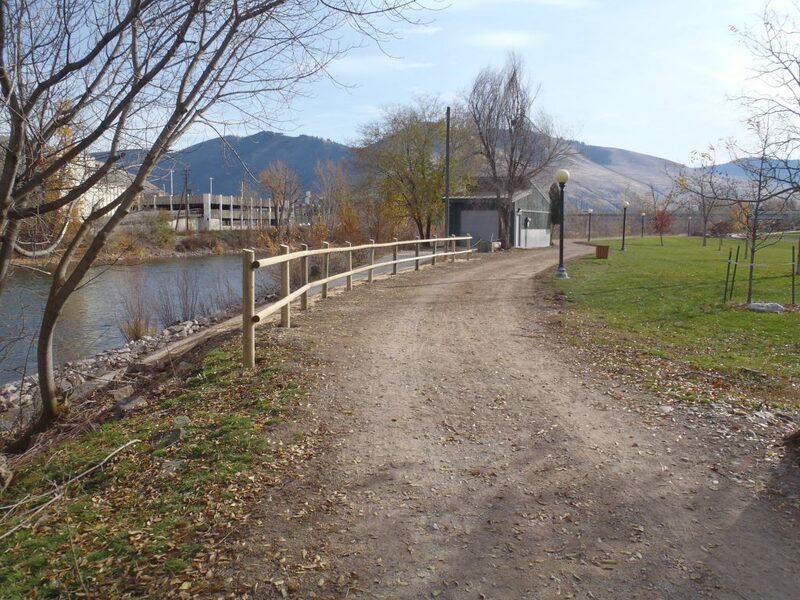 New Wave was responsible for coordination of engineering, design, preparing permit applications, agency coordination, and construction of a ramp extension along the Clark Fork River. Respec provided the engineering services including design and construction oversight. The project focused on extending the emergency access ramp and implementing bank stabilization measures. The project improved working conditions for the City of Missoula Fire Department to launch and retrieve the RWC during low flows.